I've finally gotten around to tallying up the totals of the user survery! 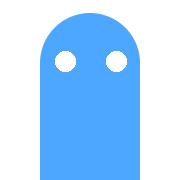 The winner for mascot is post ghost! That doesn't necessarily mean that's now our official mascot, and more of a guideline for concepts by artist volunteers (p.s. we're looking for artist volunteers). Here is a sheet with the results. Scoring was done by counting the first choice as one point, the second choice as 0.5 points, and the third choice as 0.25 points. The fourth question in the survey was "How would be ok with the front page of jstpst going to /f/all instead of featured (if you have no subscriptions) or subscribed (if you do?)." I didn't feel like it was necessary to put this in a spreadsheet. 42 votes yes, 4 voted more. I'm going to see if I can find a way to accommodate the 4 "nos" when I tackle this enhancement. Maybe an option in account settings or something. Thank you all for participating! 46 votes is awesome and I appreciate your feedback greatly! I am excited for ghost!! Also I'm never using SurveyMonkey again they wanted me to go on a $35/mo subscription for a lousy csv file like what the hell guys. I would have gladly paid like a one-time fee of like $5 but noooooo. We tried, Emily. We did what we could, but it wasn't enough and you know what? That's okay.